Remotes, Touchscreens, Mouse & Keyboard, RS232, UDP, Etc. xLobby xPad webserver system will work with the RTI T4, the GUI images shown are sent from xLobby webserver system. The webserver system has realtime 2 way feedback with audible button presses. Any device that has a compatible internet explorer browser can display xLobby control menus. 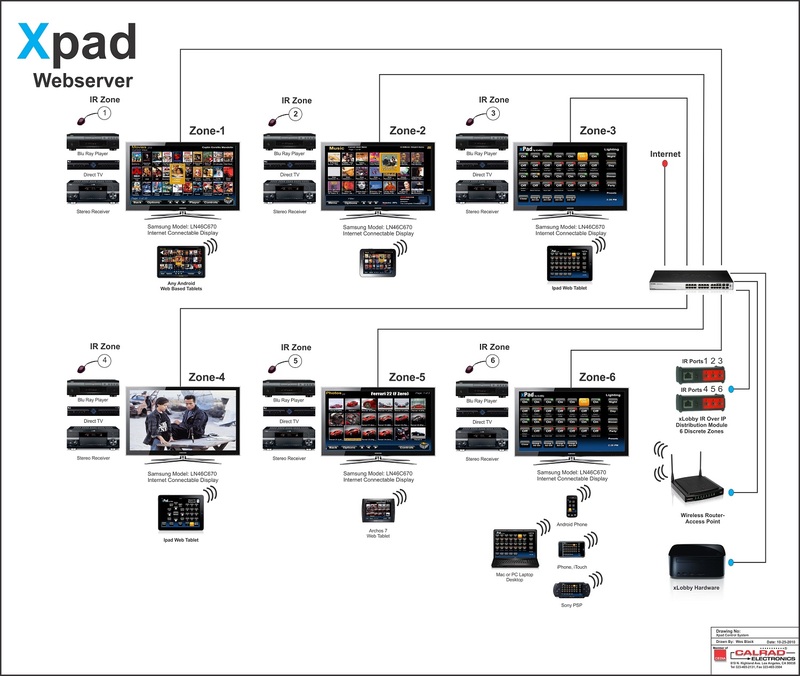 Here are links to xLobby xPad system showing system diagrams and device integration.